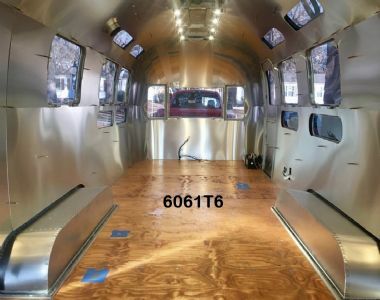 The interior and the exterior of a trailer work together for structural integrity. 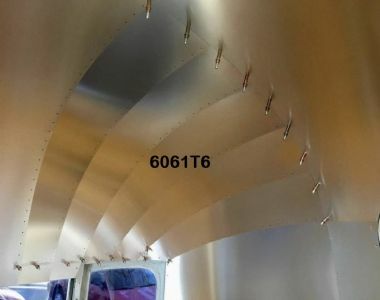 We suggest a structural alloy for interior in .032 thickness. 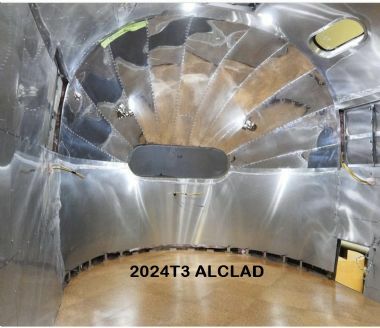 2024T3 alclad and 6061T6 are both good options. 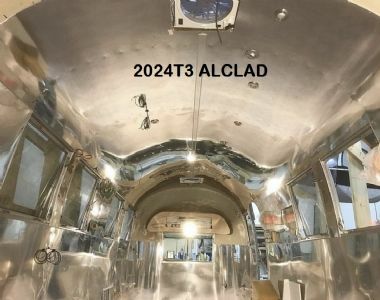 2024T3 alclad is bright and shiny, showing very little grain, and comes in any length, available in 48" or 60" wide. Both can be rolled for shipping. 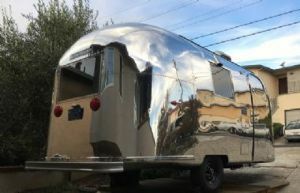 2024T3 minimum to roll is 6ft, max 32ft for 48" or 25ft for 60"